"Dumping The Rock" is a varied showcase of the Foci's Left sound, but aims specifically to disperse any aggression of past releases toward something more mellow and beautiful. You can map different tracks together in a Foci's Left playlist with this release. Artwork: "Cyclist" by Antonymes (Ian Hazeldine), who took this picture especially for me upon the release of his album "The License To Interpret Dreams". Purchasers will receive a bonus Modern Classical piece called "The Calamities Of Confusion [21.12.12] (For Lata S.) in their download. Total EP running time 13:52. "This is breathtaking man" ~ 247, Futurepast Fanzine ed. on "Overdriven Terrain". 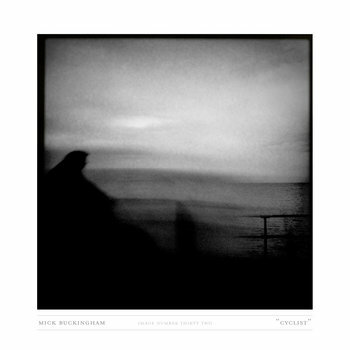 Credits: All tracks written, produced and engineered by Mick Robert Buckingham (Foci's Left). Hope you like people. Feedback would be appreciated.